As reported by the CBC, the City of Hamilton recently paid $1.75 million for a brownfield site that once sold for $2. The property, located at 350 Wenworth Street North, sold for $2 a decade ago and then for $266,000 two years ago. In the property was purchased in 2013 for $266,000, hundreds of barrels of toxic waste were discovered behind a fake wall. 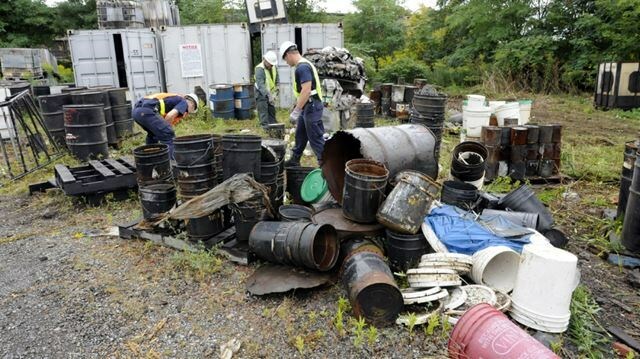 The barrels contained coal tar byproducts and industrial solvents, and roof tar. The new owner arranged for the proper disposal of the barrels. The Ontario Environment Ministry confirmed in an e-mail to CBC that the waste had been from the building and it was decontaminated by the fall of 2017. It also confirmed that the clean-up included the removal of approximately 200,000 litres of liquid waste. It is not known how much the clean-up of the 800 barrels of toxic waste cost, but the Hamilton Spectator quoted the owner in 2017 that the clean-up would cost $650,000. Property records for the building stretch all the way back to 1988, when Currie Products Limited spent a million dollars for 350 Wentworth. 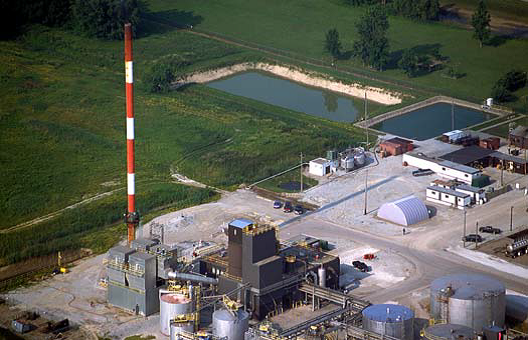 Currie ran a tar facility that went out of business there in the late 1990s, and was considered by many to be the company that originally polluted the site. Owner John Currie died in 2013. Through the years, the building has changed hands multiple times for a wide swath of prices, ranging from that original million dollars, to $610,000 in 2007, to $2 in 2008, to the tax sale in 2016 and now, for $1.75 million. Over that time, building owners fought with each other and the province over who was actually responsible for cleaning up the site, in some cases heading to court in search of a resolution. For each sale, the price of the property reflected what buyers knew about the site at the time. The city’s purchase of the property is all part of a reshuffling of buildings in the area to create a transit hub for the lower city like the Mountain Transit Centre at 2200 Upper James. Known as the Telephone City, Brantford may also become famous as one of the first municipalities in Canada to proudly showcase its brownfield projects. Instead of hiding from its industrial past, the city is showcasing several brownfield projects and is encouraging residents and visitors to take the self-guided tour. Eight projects in various stages of remediation or redevelopment are highlighted in the tour. Highlights of the the tour are the Greenwich Mohawk Site, Sydenham-Pear Site and Edward Gould Park. The Greenwich Mohawk Site alone is over 50 acres and was remediated over the course of two years, starting in 2014. The City is investing $5,000 per year to promote the tour and hopes to attract interested individuals, school groups, and others. The tour itself provides participants with access to historical photos, newspaper articles and other project details through the tour website. Users can access the Brownfields Discovery Tour online at Brantford.ca/BrownfieldsTour where they can follow along digitally or print a hard copy of the tour. 186 Pearl St. – a 0.38-hectare site located in a residential area, this site was home to Brantford Emery Wheel Co. (1910-1920) and the Brantford Grinding Wheel Co. (1920-1939). Bay State Abrasives was involved in similar manufacturing operations there. The city removed an underground storage tank, removed the existing structures, cleaned the contaminated soil and planted sod at a cost of about $175,000. The property has been converted into a park. 347 Greenwich St. and 22 and 66 Mohawk St. – Referred to collectively as the Greenwich Mohawk Brownfield Site, the companies and industry formerly housed on these properties are a significant part of the city’s history. The 27.9-acre 347 Greenwich property is the former site of Massey-Harris Co., established in 1891. It employed thousands of Brantford employees over the years. A 2005 fire destroyed most of the buildings and the city acquired the property in 2007. 22 Mohawk St. – This 7.25-acre property has been home to Adam’s Wagon Co. and Brantford Coach and Body, later Canada Coach and Body, where military vehicles were manufactured during the Second World War. Later, Sternson Group was there. 66 Mohawk St – The Brantford Plow Works, later Cockshutt Plow Co., was established here in 1877, making high-quality farm implements. The farm division was sold to White Farm Equipment in 1962. That company went bankrupt in 1985. The city acquired all three properties by 2007 and a two-year remediation started in 2014 at a cost of $40.5 million. Sydenham Pearl site – Consists of two properties: 17 Sydenham St., the former Crown Electric, and 22 Sydenham, the former Domtar (Northern Globe) site. 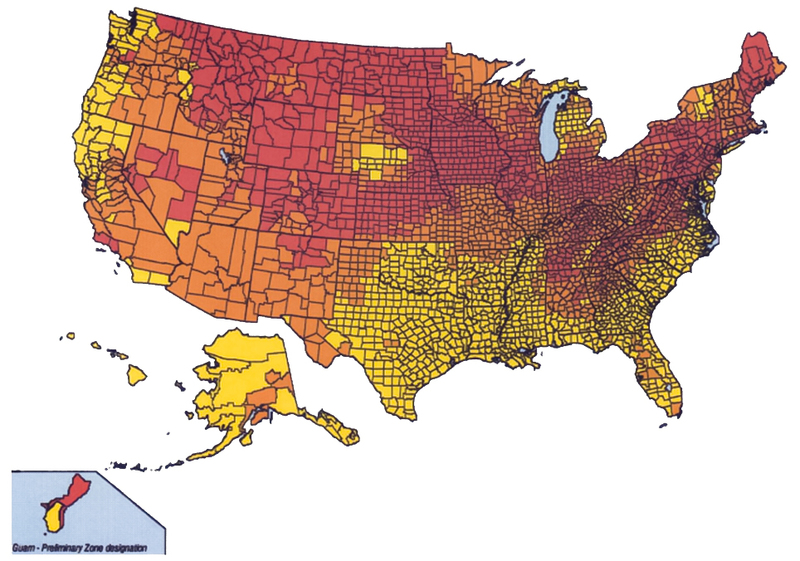 The sites served as the main locations for mass industry for almost a century. The city took over the properties 2004 and 2006. Remediation was done in 2015 and 2016 and a soil cap was installed. The site will be green space until next steps are explored by the city. 85 Morrell St. – The city sold the property, once occupied by Harding Carpets Limited, to King and Benton Development Corporation, which cleaned and renovated the 10-acre property to include warehouses and offices for industrial use. 168 Colborne St. West – This 11.5-acre property was the site of the former Stelco Fastners manufacturing plant. In 1999, it was purchased by King and Benton. Work is underway to redevelop the site for mixed uses, including multi-storey residential buildings. 111 Sherwood St. – Home to Brantford Cordage Co. during the early 1900s. At its peak, the twine producer employed 700. It has remained active with a variety of commercial and industrial uses, including a brewery and fitness studio. 232-254 Grand River Ave. – In 1891, this 4.87-acre site was developed as a cotton mill by Craven Cotton Mills Co. It then became Dominion Textiles Co. and then Penman’s Manufacturing Co. Textile manufacturing continued on the site for almost 100 years until it was sold to a land developer in 1984. It is now being remediated for a mix of affordable housing and market-rate townhouses. 180 Dalhousie St. – The 0.52-acre site is a consolidation of four properties, which, over the years, housed various residential and commercial operations, including Castelli Bakery, which closed in 2011. Today, a four-storey student apartment building is there. In southern Ontario, the management and use of excess soil is a growing issue. There has long been concerns of unscrupulous players wrongly classifying contaminated soil as excess soil and managing it incorrectly. Likewise, there has been long-standing concerns expressed by those wanting to do the right thing of ambiguous and uncertain rules with respect to determining what is excess soil and how to manage it. 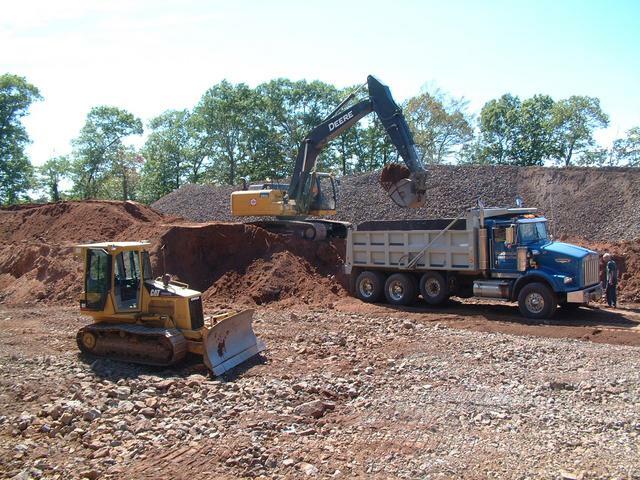 As a result, honest industry participants end up hauling excess soil to landfill that could have otherwise been utilized for useful purposes. According to data compiled by the the Residential and Civil Construction Alliance of Ontario (RCCAO), Ontario’s construction market generates almost 26 million cubic metres of excess construction soil every year. About $2 billion is spent annually to manage excess soil – which comes from civil infrastructure projects such as transit, roads, bridges, sewers, watermains and other utilities. Even though most municipal roadways contain only minor amounts of salt from winter road treatment, large quantities of soil are often hauled up to 100 kilometres away to designated dump sites, rather than being reused on site or at other nearby construction sites. When best management practices are used, there are fewer trucks travelling long distances, causing less wear and tear to the roads – and less traffic congestion. Fewer trucks on the road reduces greenhouse gas emissions, creating a cleaner, healthier environment. Andrew White, CEO of CHAR Technologies Ltd.
CHAR Technologies Ltd. (“CHAR”) (YES – TSXV) recently announced that it has successfully commissioned its biocarbon production facility. CHAR creates two types of biocarbon, an activated charcoal “SulfaCHAR” and a solid biofuel (bio-coal) “CleanFyre.” At full capacity, the facility will be capable of producing up to 5 tonnes per day of biocarbon. The completion of commissioning is the next milestone in CHAR’s Sustainable Development Technology Canada (SDTC) project. Upon acceptance of the milestone report by SDTC, the next progress payment can be processed. CleanFyre is a carbon neutral solid biofuel, and through its implementation will allow users to significantly reduce their GHG emissions. SulfaCHAR is a zero-waste activated charcoal, with application in the desulfurization of renewable natural gas. Both are made from low-value materials, including anaerobic digestate and wood-based by-products. CHAR Technologies Ltd. is a cleantech development and services company, specializing in biocarbon development (activated charcoal ‘SulfaCHAR’ and solid biofuel ‘CleanFyre’) and custom equipment for industrial air and water treatment, and providing services in environmental management, site investigation and remediation, engineering, and resource efficiency. 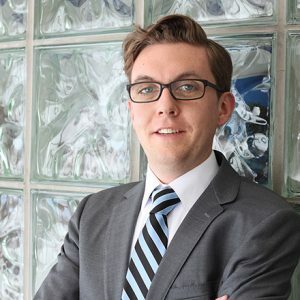 Clean Harbors is a hazardous waste management company operating across North America. Their location in Mississauga is a hazardous waste terminal and transfer station, receiving, handling, and transporting flammable solids destined to the U.S. for incineration. 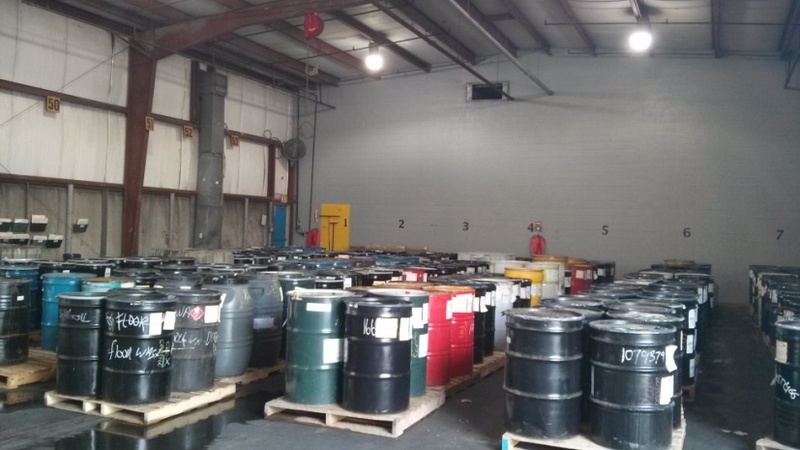 Non-flammable solids and liquid hazardous waste is sent to their facility in Lambton, Ontario. 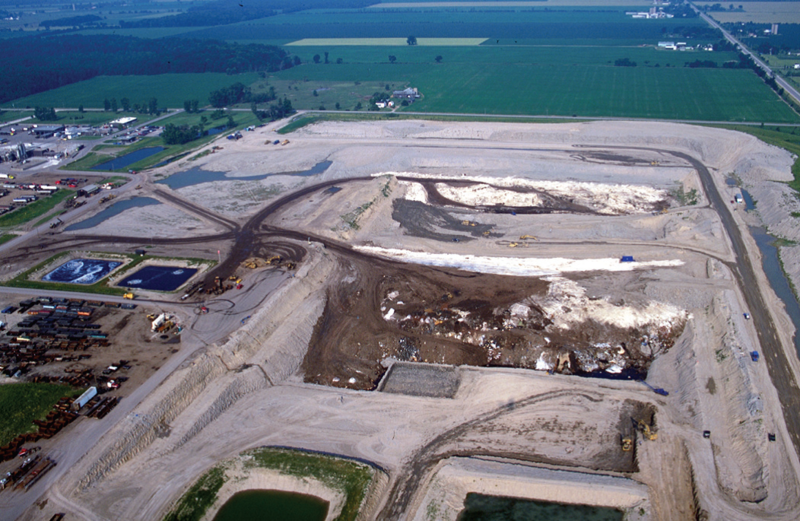 The Lambton facility includes a hazardous waste landfill and a liquid hazardous waste incinerator. Carriers bring the hazardous waste to the transfer station, where the manifests and documentation are reviewed to ensure that the facility is permitted to receive the material. Receiving times are typically planned ahead of time to prevent surges of shipments on site. Once off loaded, the waste is sampled to confirm the material profile noted in the manifest and then staged for further processing. The entire staging area is built over sealed drains leading to a blind sump to prevent any spills from leaving the site. “All the liquids from our sumps, even if it’s just rain water… get put into tanks and go down for incineration,” says Parker. Every drum the facility receives has its contents verified, sampled, and tested. Samples are analyzed for PCBs, pH, ignitability/ flashpoint, sulfide, chloride, oxidation, cyanide, and water reactivity in order to get a profile for the waste, after which a code is attached to the drum to indicate its destination and disposal. This information is stored in their management system that tracks the inventory at their various facilities, including the shipping information and profiles of all items. The information is removed for approval to be received on site. The system also tracks the manifests for the generator, carrier, receiver, and the ministry, internal inspections, and monthly reports to be sent to the ministry. After sorting and sampling, the waste is safely sorted into various streams for consolidation, bulking, or blending. “It has to be in the same waste class to mix and match. We can’t mix something flammable with something non-flammable,” says Parker. “Even if they are in the same waste class, we take samples from each drum, mix it together, and if nothing happens, we can do it” says Erica Carabott, Facility Compliance Manager. Liquid waste is bulked in tank farms until there is enough to fill a taker truck to be sent to Lambton for incineration. Solid waste is loaded into pits where the material is shredded up, bulked, and mixed with a solidifying agent to take up any free liquids in the solid waste streams. Many of the materials received at the Mississauga Transfer station are transported to the Clean Harbors Lambton facility offers services including waste neutralization, incineration of hazardous waste, inorganic pre-treatment of hazardous waste, thermal desorption of solid and sludge, and landfill disposal of hazardous waste. Liquid waste is blended in a controlled neutralization process at the acid and alkali plant before being fed to the incinerator. The liquid waste injection incinerator operates 24 hours a day, 7 days a week, consisting of a fix unit incinerator, a semi-dry spray dryer absorber, and a four-compartment baghouse. The site capacity is about 100 000 tonnes per year and can process pumpable material that does not contain PCBs, pathogens, radioactives, and cylinders. The landfill is situated in natural clay, and accepts a variety of hazardous waste excluding explosives, PCBs, radioactive, pathological wastes, or compressed gasses. Due to the Land Disposal Restriction prohibiting the disposal of untreated hazardous waste on land, Clean Harbors has an inorganic solid pre-treatment processing plant which mixes inorganic waste (primarily metal bearing solids) with reagents to prevent the metals from becoming leachable. Furthermore, a thermal desorption unit is used to condense and recover water and organics from organic solid waste. The waste is fed into a kiln that heats the waste to 400-450 degrees Celsius to strip the organics from the waste. The vapours are condensed to remove liquid organics during the process, with the remaining emissions vented to the incinerator. The residual solids are then tested for any remaining organics or metals, and then disposed of in the hazardous landfill on site. “You can understand why it takes a lot of money to treat the stuff in the landfill. It cooks it for about a half hour – that’s a lot of heat and a lot of money” says Parker. “With testing at the front and testing at the end,” adds Carabott . These facilities and processes allow Clean Harbors to work with their clients to develop cost effective solutions to handling and disposing of hazardous waste materials throughout the Great Lakes Basin in both Canada and the United States. In addition, Clean Harbors conducts regular outreach programs with the local community regarding the safe operations and reporting conducted at the Lambton facility. Special thanks to Mike Parker and Erica Carabott for taking the time to speak with me and show me around the Mississauga Transfer station. The United States Occupational Safety and Health Act (OSHA) requires employers to maintain a written hazard communication plan that effectively protects workers from potentially harmful chemical exposure in the workplace. On the surface, the requirement sounds simple, yet failure to meet this requirement is the second most commonly cited OSHA violation. Here’s what you need to know to ensure you comply with this simple, critical OSHA requirement. Who Needs a Written Hazard Communication Plan? There are some exclusions to the requirement, including ingredients in food, certain pesticides, and distilled spirits. In most cases, the excluded chemicals are covered by other regulations. For full information, visit OSHA’s hazard communications page. 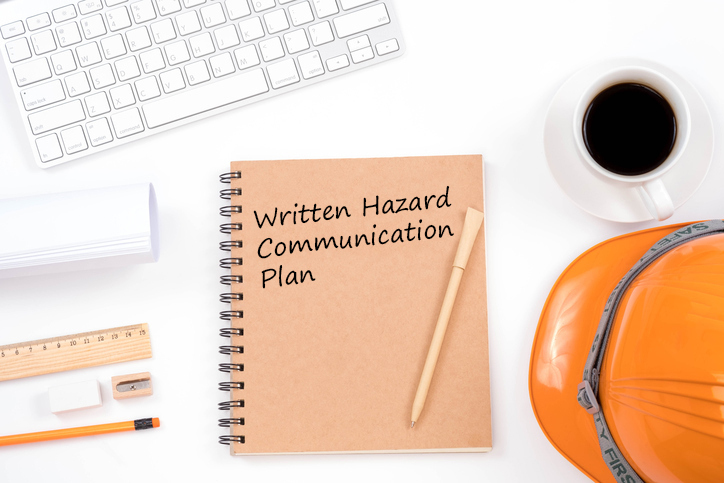 What are the Key Requirements of the Written Hazard Communication Plan? Employers are further responsible for making the written hazard communication program available, upon request, to employees and their designated representatives. What Hazards Does the Standard Protect From? The written hazard communication plan helps protect workers from these and other risks associated with exposure in the workplace. Writing a hazard communication plan is not overly complicated, but it’s critical that you get it right. Start by collecting data on all potentially hazardous chemicals in use at your work site. Make a list of them. Gather SDSs for each chemical, and reference the SDS for each one inside the master list. Identify which workers experience exposure risk during the course of their workday, as well as in foreseeable emergency circumstances. Develop an information and training program to ensure workers understand the hazards present in their workplace, as well as appropriate protective measures for those hazards. And, conduct personal air sampling for these chemicals to establish OSHA-required Negative Exposure Assessments (NEAs). Many employers prefer the confidence and ease of hiring an experienced firm like GLE to prepare an OSHA-compliant written hazard communication plan on their behalf and conduct NEAs. This article was first published on the GLE Associates website. GLE is an integrated architecture, engineering, and environmental consulting firm, headquartered in Tampa, Florida, with offices throughout Florida and the Southeastern United States. Training is an essential priority for any subject that we wish to become proficient in. The HAZMAT training field is no exception to this. However, due to the serious and strenuous nature of HAZMAT response, it is important to safely execute training in a way that doesn’t damage our gear or our health. Often times one of the most costly things we can do to our response gear is ruining it while in training, rendering it useless during an actual event. Ripping and tearing your issued PPE during a training that, let’s face it could have been planned better, hurts no one but our own members. From bunker gear scraping across a concrete truck bay to a plastic CPC being torn from an ultra-impossible scenario that our training officer threw together can become costly and wasteful. I may strike a nerve with this one, so prepare yourself now. 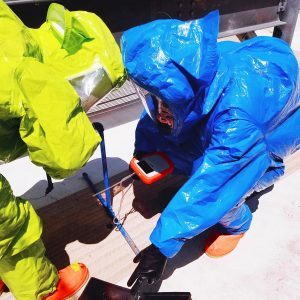 I feel that most chemicals we commonly deal with as HAZMAT responders can be mimicked with much safer alternatives – rather than using the real things. Many times training facilities or classes boast the fact that live agents are used, and this peaks much interest for the student. Degrading our PPE for the sake of real meter readings and visual cues is a costly degradation to bestow upon gear that you will decon and possibly re-don in the near future and assume it will protect you adequately. Visual cues are able to be exaggerated, and meter readings manipulated without exposing your gear, and potentially yourself, to harmful materials that every day becomes part of a long list of carcinogens. Another consideration during training is that of your gas detection equipment. It is no secret that gas detection equipment can be very costly, and sometimes hard to replace. While learning how to use and interpret your detectors efficiently is imperative; a mistake while training could render some out of service for quite some time. We are always looking for ways to make detection more realistic, whether through cross sensitivity or simulation. Sometimes, however, an overzealous approach to making meter equipment respond to atmospheric stimuli – can end up costing us in burned sensors, and possible damage to our front line equipment. Simulation is the future of training, and gas detection is no exception to this. Time and time again, especially in this glorious age of the internet we are in, we are bombarded with self-proclaimed subject matter experts, who claim their tactics are the only way, or that their way of approaching specific problems is pretty much be all end all. Sifting through these mirages and other facades can prevent us from potentially wasting time, or not being open to other ways of thought about particular subjects. These statements are true not only for HAZMAT, but fire, and pretty much any other subject if you look hard enough only. It’s great to try new tactics, and store them in your toolbox for the next time the alarm goes off, however, keep an open mind. While I love my leather helmet, I am very open to the possibility that technology may be to the point where I need to hang it on a wall and choose safety over looks. In closing, training in a necessity for all of us no matter what industry we are in. From oil and gas to emergency response, staying up to date on our skills and tactics is a must if we are to remain successful. Keep an open mind, and protect your equipment. These are the biggest keys to remember while training. Or you may find yourself with an expensive bill, and a rookie who really didn’t learn anything. This article was first published on the Hazsim website. As reported by the South China Morning Post, China’s government recently approved a new plan to tackle growing pollution threats in its countryside, and will strive to clean up contaminated rural land and drinking water and improve waste management. The new plan, approved “in principle” by the Ministry of Ecology and Environment is the summer also mandates cuts in fertilizer and pesticide use and improved recycling rates throughout the countryside. China is in the fifth year of a “war on pollution” designed to reverse the damage done by decades of tremendous economic growth, but it has so far focused primarily on air quality along the industrialized eastern coast, especially around the capital Beijing. China’s countryside has struggled to cope with land and water pollution caused not only by unsustainable farming practices, but also by poorly regulated, privately-owned mines and manufacturing plants, as well as rising volumes of plastic waste. Rehabilitating contaminated land has become a matter of urgency for the Chinese government, which is under pressure to maximize food production while at the same time it is setting aside one-quarter of the country’s land as off-limits to development by 2020. Total arable land declined for a fourth consecutive year in 2017 as a result of new construction and tougher environmental requirements, the government said in May. The State Council published a plan in February to deal with growing volumes of untreated rubbish dumped in the countryside, promising to mobilise public and private funds to make “noticeable improvements” to the living environment of rural regions by 2020. It vowed to restore wetlands, plant trees and eliminate “disorderly” rural construction to improve the appearance of China’s villages, and would also focus on improving garbage and sewage treatment. In August, the Chinese government enacted the Soil Pollution Prevention and Control Law. 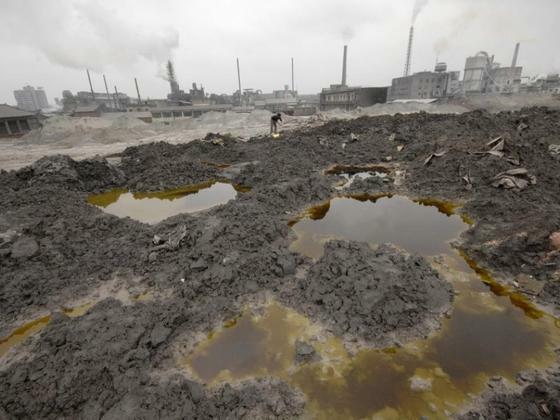 This is the first time China has enacted a law targeting soil pollution. For existing soil pollution, the law holds polluters and users (as it is rare in China for individuals to own land) accountable for a series of risk management and remediation obligations, with the polluters being primarily responsible. According to an article by IISD, the estimated cost for remediation efforts between 2016 and 2020 at $1.3 trillion (USD). The government itself estimates it might be able to cover only a small fraction of the overall cost. 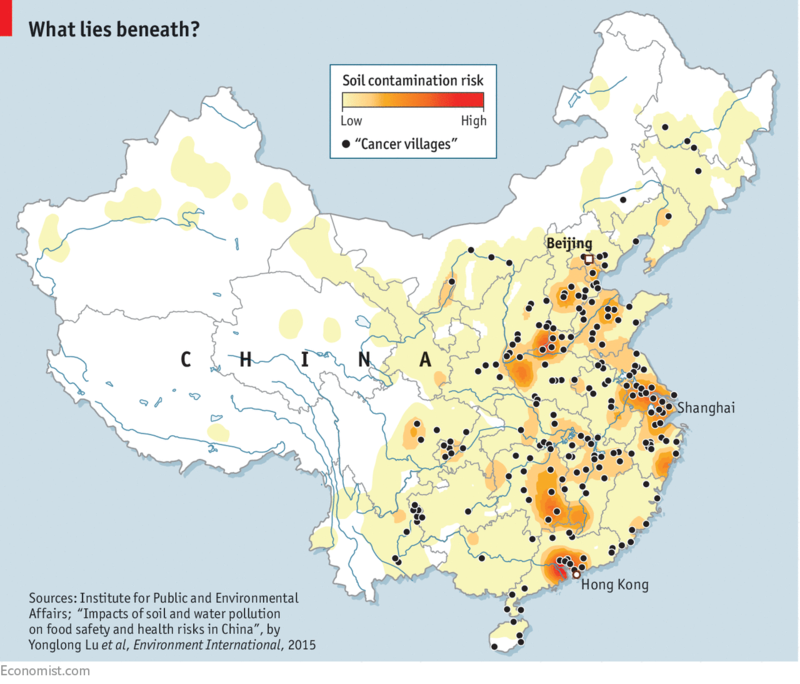 During China’s the 12th Five-year Plan (2011–2015), only $4.5 billion) was allocated to soil remediation, mainly for urban areas. Combine polluter payments with government support and a prohibitive capital gap still exists in China’s efforts to restore land and protect public health. This gap will have to be filled by private sources.